As a healthcare or life sciences organization, your business has automated systems that control the development, production, distribution, patient care, and delivery of services and products that affect the quality of human lives. You need a technology development, integration and implementation partner who understands your industry and your challenges. Lucid Technologies, Inc can provide an integrated approach with custom solutions to optimize quality, enhance business value and reduce total cost of ownership throughout the lifecycle of an application or project. Lucid Technologies, Inc can help with all of your enterprise resource planning (ERP) needs, including Accounting, Procurement, Sales, Inventory Management, Manufacturing, Human Resources and Payroll. Lucid Technologies, Inc can help select, implement and manage challenges around supply chain planning, logistics and warehousing, and distribution processes. Lucid Technologies, Inc can size, provide and configure servers, data collection equipment and printing solutions to support your software. Lucid Technologies, Inc provides wireless technology that supports ERP, Supply Chain Management, custom and other systems by making information transfer possible from remote locations in real time. 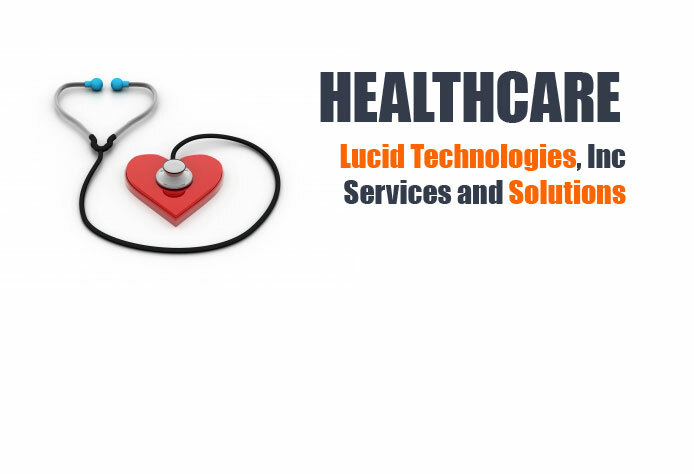 Lucid Technologies, Inc Healthcare Value Chain Solution draws on our functional, technical and industry expertise to deliver a system that meets the specialized requirements these organizations demand.